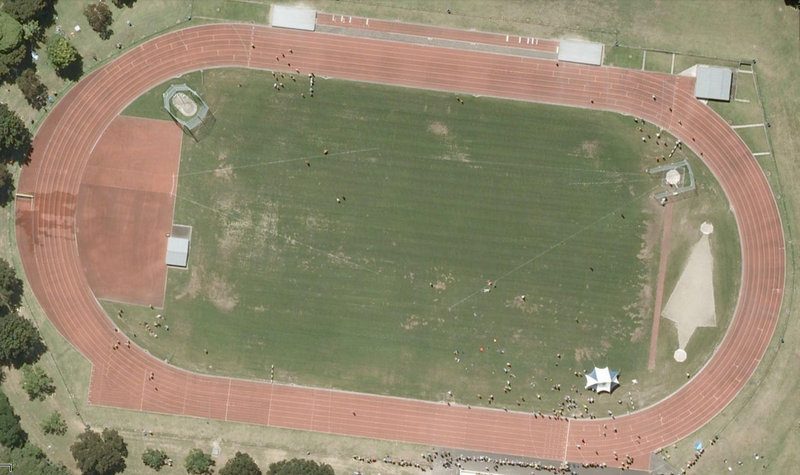 Our New Zealand track today is found at Porritt Stadium, which is the home facility of the Hamilton City Hawks Running Club, that was founded in 1895. The team from the Fairfield Amateur Athletic Club also trains and races here. This looks like another nice all-weather track. It has eight full lanes. Most field events are contested on the inside. The long and triple jump runways are just outside on the backstretch. Multiple meets are held here every year.